Hillsborough is a very nice subdivision in Conway that began development around 2007. The affordable 3 and 4 bedroom homes were originally built with many extras such as fireplaces, cathedral ceilings, and screened porches, yet average prices start in the low $200,000's. Many have large lots and overlook a beautiful lake on the property. R.S. Parker builders have expanded the community and are building new homes now as well. Aside from great amenities like a beautiful pool, playground and walking trails, the Conway location near Carolina Forest is away from traffic and is quickly becoming very popular. 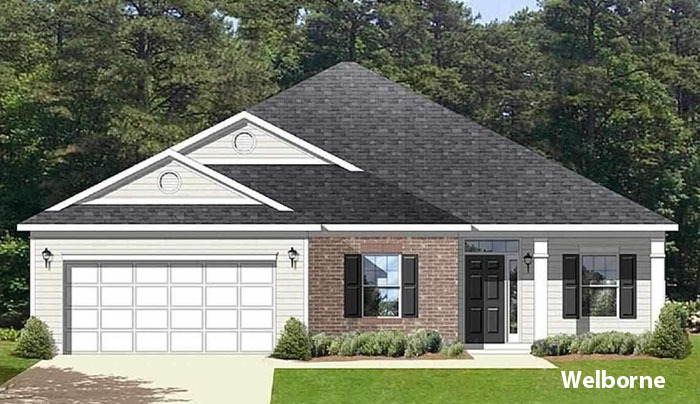 The new homes offer 15 energy efficient, well laid out home floorplans to choose from in Hillsborough. Homes can have 3, 4, and 5 bedrooms. Sizes range from 1464 to almost 2000 sq ft. These homes are priced right as well - from just over $160,000 to just about $250,000 for the largest homes. The city of Conway is 12 miles from the traffic of Myrtle Beach. 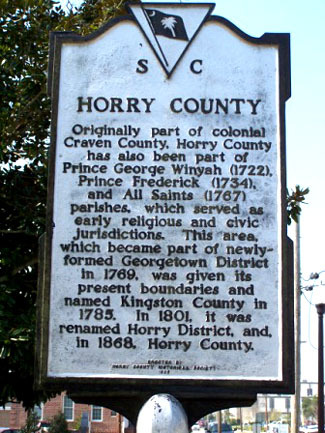 It is one of the oldest towns in South Carolina, established in 1734. Seventeen homes in this city are listed on the National Register of Historic Places. Conway takes pride in its history, and the downtown is very reminiscent of town centers from the 50's. There are small, locally owned restaurants, and an excellent live theatre with entertainers and actors performing Broadway shows and plays year-round. R.S. Parker has been building quality homes for more than 2 decades with unmatched craftsmanship. With an emphasis on energy efficiency and convenience, Parker's floorplans improve with every new development. The homes in Hillsborough in Conway are no exception. If you are in the market for a brand new home or an established one in a growing community, keep this on your list of must-sees. Call us for a tour or more information on these fine new homes.